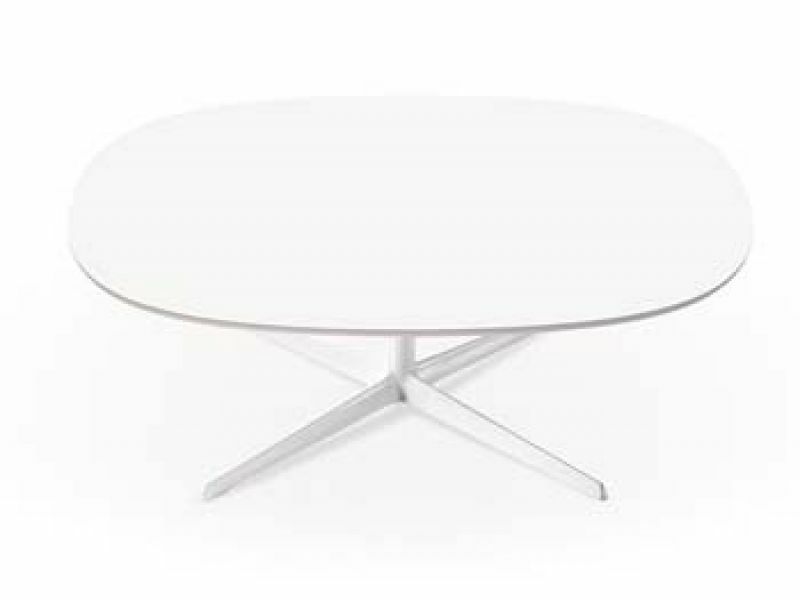 Eolo table system with 4-star pedestal base in white painted cast aluminium. The top, in white MDF, comes in oval or round versions in various sizes. White embossed MDF top with white painted steel base.